In Spain each autonomous region has their own version of the Youth Card which costs less than 10€. The card can be used until your 31st birthday and gives access to loads of discounts. See how to get one and what the benefits are. What Is The Youth Card? 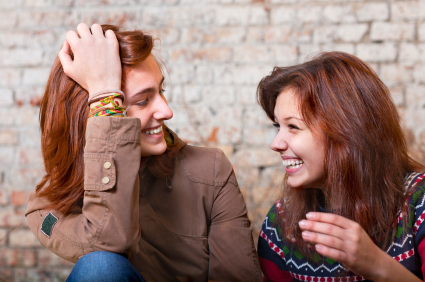 The Youth Card can be used in any part of Spain, regardless of where it was issued, and also in 41 European countries. Additionally the card comes with travel insurance (worldwide coverage), which starts as soon as you receive it. Unless you’ve got a Spanish digital certificate to request the card online, you’ll have to check out regional details to see how to get one. Also the promotions and offers for some stores are nationwide, whereas others are only local. Full details are available on each website shown below or on the European Youth Card website. 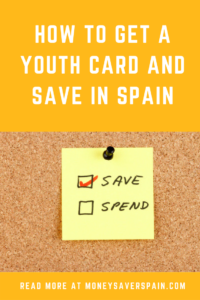 Don’t forget if you’re travelling around Spain to check out any promos for that region’s Youth Card holders before you go in case you’re entitled to a discount. The same goes with travelling through Europe too. The card is sponsored by Caixa Bank and is available at most branches. Card can be requested at any regional Youth Offices and online too. Offers can include discounts for skiing at Sierra Nevada, tickets to see the Alhambra or laser eye surgery. Discounts are offered by almost 4000 companies / stores with discounts of up to 35% on lots of different products such as sports goods, hotels, electronics, books, beauty & hairdressing, etc. Cataluña: The Youth Card Website is only available in Catalan. Get a provisional card immediately that lasts 30 days (but only for the Cataluña region), until you get your permanent card. Cards can be requested at any branch of La Caixa. More than 6000 establishments offer discounts or other perks and there’s an SMS system to keep you up-to-date with the latest offers. There are often great offers for music festivals and other cultural events. You can request a “Pack Jove” with 100 discount coupons at any La Caixa branch. Valencia: Youth Card Website here. The card can be requested at branches of La Caixa or at regional Youth Offices. In order to see discounts at participating establishments, you’ll need to search via the online form. Madrid: Take a look at Madrid’s Youth Card website for more details. The card can be requested at Youth offices and at branches of La Caixa. For more details see here. Discounts include 10-20% at theme parks, cinemas, theatres; 50% off national museums; 15% off Alsa long distance bus routes. Visit the European Youth Card website for information about more than 60,000 discounts available across Europe. A few years ago the Youth Card was only for people aged up 26. The change to under-31 has meant that some establishments may not be too happy at giving you a discount if you’re over 25 so it’s better to ask first. Several regions have also introduced a Visa Youth Card, also available at branches of La Caixa. Various formats are available: credit card, debit card and top-up card. If you’re too “old” for a Youth Card but your friends / kids have one, make sure you go shopping with them so you can get the discount too!